Tierra Volcán Line Sampler of 4, packaged and sealed with Boveda for Humidified Shipping! 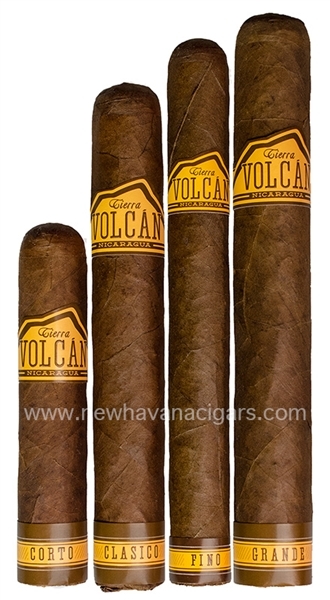 From Mombacho Cigars, S.A. the Tierra Volcán Line is the U.S. counterpart to it's Canadian, Mombacho Cigars. A Nicaraguan puro with a sun grown Habano wrapper grown in Jalapa Valley blended with Nicaraguan binders and fillers from Jalapa and Condega. Rolled at the Mombacho factory in Granada, Nicaragua.